After success in creating a full-range of haircare and style products for curly hair, Ouidad wanted to bring their exclusive in-salon treatments to people’s homes. MSLK was tasked with creating a chic new look for the product packaging’s exclusive Sephora launch. Ouidad, the experts in haircare for women with curly hair, needed a logo and packaging for a new line extension to be sold exclusively at Sephora. Originally formulated by Ouidad herself in the salon setting, these treatments utilized key natural ingredients to treat the most common hair and scalp challenges. With just a few weeks before product launch the Ouidad team came to MSLK looking for a fresh approach — something truly different from their existing packaging and brand image. A brand audit,along with competitive and retail analysis revealed a strong opportunity with the color black. A natural fit for a launch with Sephora, black conveyed sleek and premium and was underused in the haircare category. We prepared a creative brief listing other strategies and targeted design directions to pursue, including the exploration of an evolutionary shift from the existing packaging versus a revolutionary move to a new concept. Ultimately the revolutionary direction was chosen. 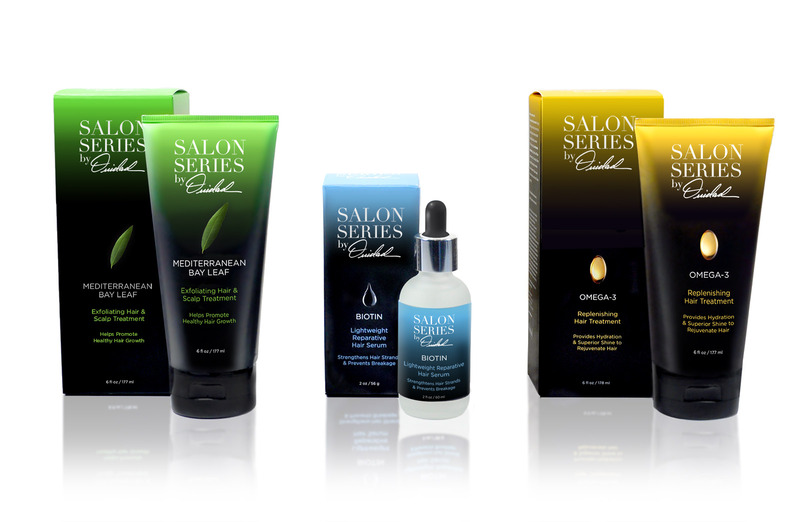 A dramatic departure from the core Ouidad product line, our sleek, professional packaging focuses on highlighting the phrase Salon Series. Ouidad's own signature, often a supporting design element in other collateral, references the stylist and her vision behind the product innovations. With a nod to skincare, each package features the key ingredient and simple call-outs highlighting the hair problems each product is designed to treat. Ouidad's Salon Series packaging casts them in a chic and sophisticated light, giving the new products a distinctive voice. 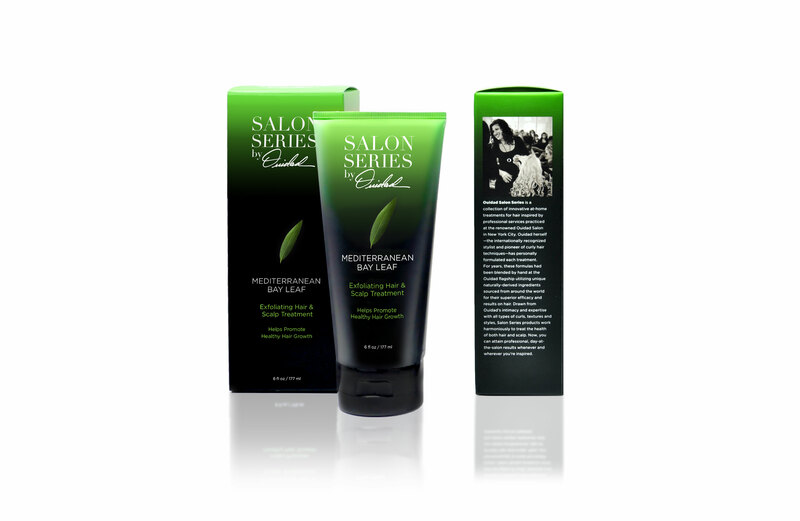 Upon its release at Sephora, Salon Series generated a buzz on beauty blogs who who raved about the salon quality results with a take home product. Sales are up, so these products are off to a great start.